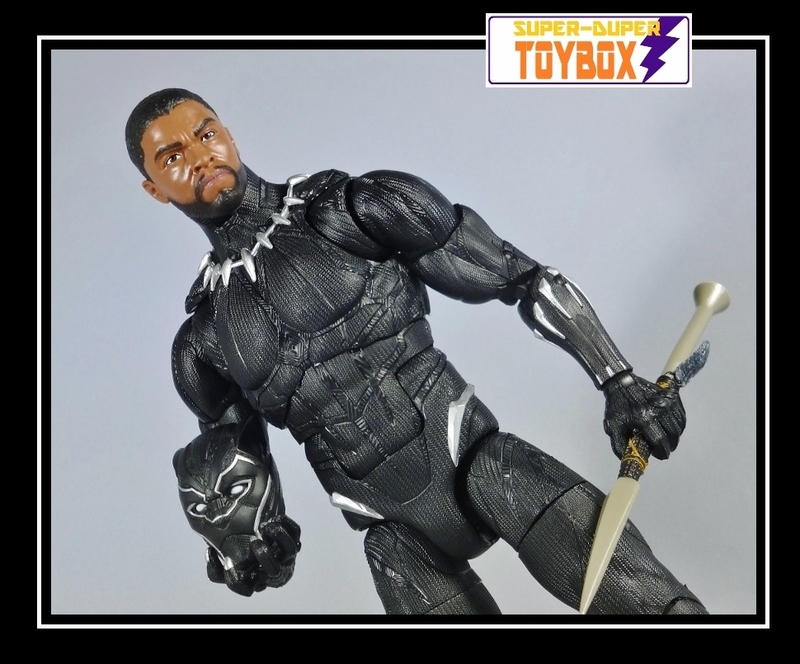 The paint is good on the big Panther, but the sculpt is sublime, the minutiae of etched detail in the suit artfully rendered, The portrait of T'Challa/actor Chadwick Boseman is almost plain by comparison, but is effective enough- at least the skin tone improved from the 6" Panther. His shoulders don't allow for complete vertical positioning against the torso, but the articulation is otherwise exceptional. 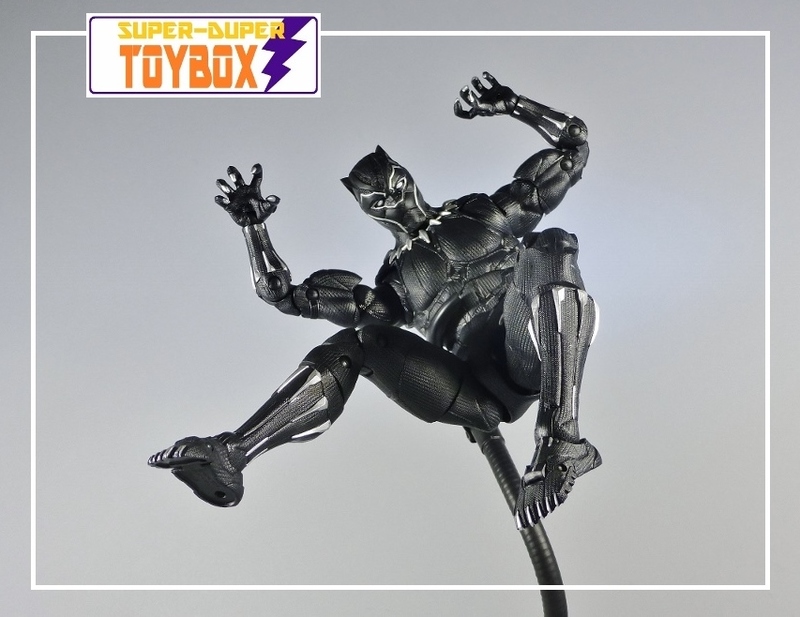 There's no waist swivel, but the torso joint makes up for that, and the butterfly shoulder joints are great for a character like Black Panther- bonus points for the great toe joints! The extra hands, head, and spear round out this a fantastic figure! Recommended! The 12" and 6" Black Panthers make a fun BIG TOY/little toy scenario! 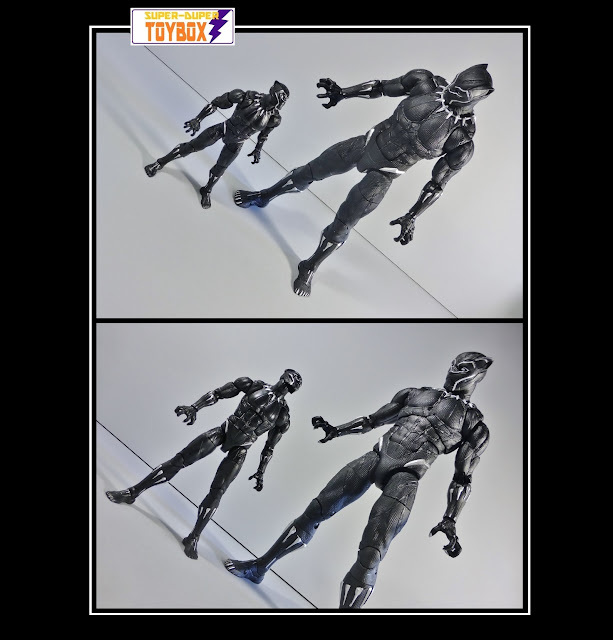 See more in the video above! More Later- Make It FUN! 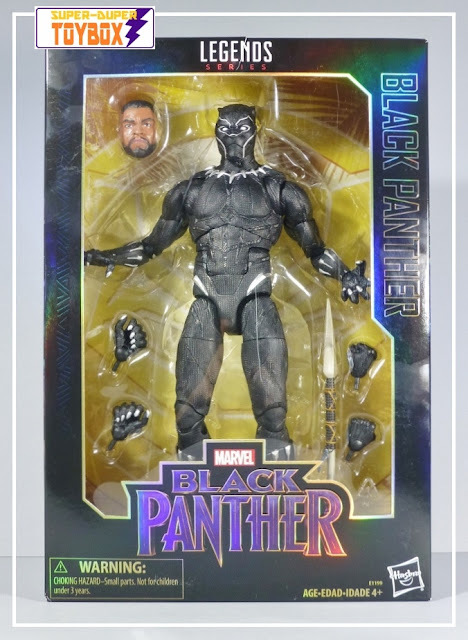 I didn't have a 3.75" Panther, believe it or not- while I sold off most my collection in that scale, I never got Black Panther. I couldn't get into the 12" Deadpool... maybe I didn't like his shoes, or he seemed too thin? Thanx for reading, Tony! Batman The Animated Toys Blog! KO Korner: Toy Galaxy Transformable Robot "Sunstorm"
Why Did I Buy That Toy? Should I stay....should I wipe this blog clean...or should I just let it be? KAT CHAT: Beautiful Box Art! 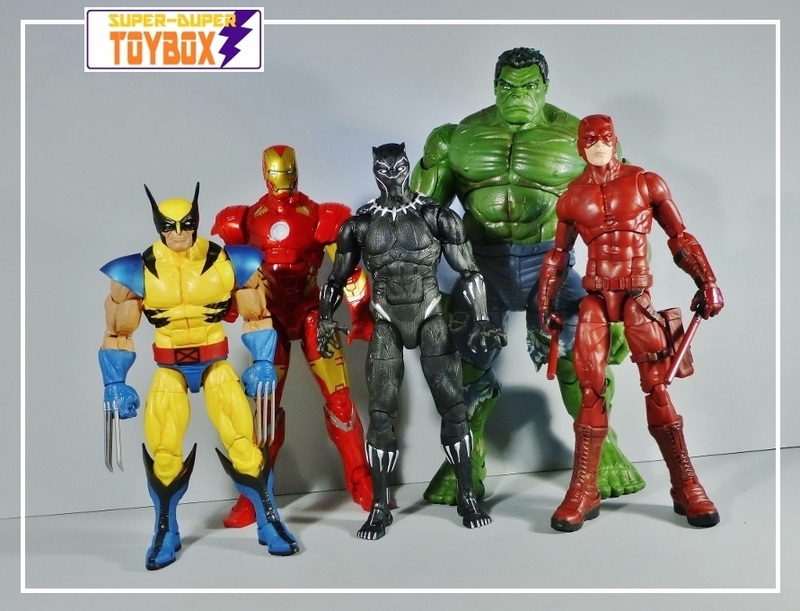 Super-DuperToyBox, 2018. ALL RIGHTS RESERVED. Awesome Inc. theme. Powered by Blogger.